Do you notice that your gums bleed while you're brushing your teeth, or are they sensitive and painful to the touch? Soreness and bleeding are two signs of possible gum disease. Gum disease begins when the gums are irritated by plaque and tartar buildup on the teeth. If these aren't removed by brushing and flossing and regular professional cleaning, the irritation can lead to a gum infection. 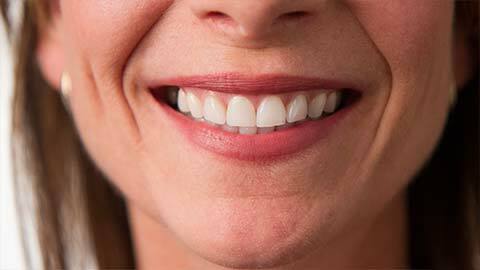 Left untreated, the infection can become gum disease. Although gum disease can cause painful and bleeding gums, it can also be virtually painless and detectable only by a dentist. The best prevention is cleaning and regular dental exams. With an on-staff periodontist, Newcastle Village Dental offers services for the treatment and prevention of gum infections and disease. Learn more about how we can help. Scaling and root planing are deep cleaning procedures that use special tools to remove plaque and tartar from the roots of your teeth. Tooth extraction is a last resort and is used when a tooth can't be saved by other means. Teeth are extracted as painlessly as possible and we provide post-extraction consultation on replacement options such as implants. Ridge and socket preservation are methods to protect jawbone tissue and the empty tooth socket after a tooth is lost or extracted by filling the socket to prevent shrinkage. If you've lost bone tissue due to extracted teeth or other causes, we can build up and restore the natural contours of your jaw and gums. Sinus augmentation is used to provide extra bone tissue in your upper jaw by adding bone tissue or other material to the sinus above the bone. It is used to support the placement of a dental implant in the jawbone. Bone grafts are used to build up areas in the jawbone where there has been bone loss or there is a need for more bone tissue, such as for placement of an implant. Gum grafting is the surgical grafting of gum tissue over an area of the gum that has been damaged or diseased to replace the gum tissue. It is also used to treat receding gums. Gum infections or disease can sometimes result in the creation of "pockets" in the gum tissue around the roots of your teeth. These pockets can grow deep and become a location for bacterial growth. In this procedure we clean the pockets and reduce their depth to prevent infection. Flap procedures are procedures where a flap of gum is cut back from a tooth or bone in order to treat or repair infections or damage. The flap is reattached with sutures. Frenectomy is the removal of connective tissue inside the mouth (such as the thin piece of tissue between your upper lip and upper jaw). Sometimes these tissues can be too tight and can cause pain and impairment. 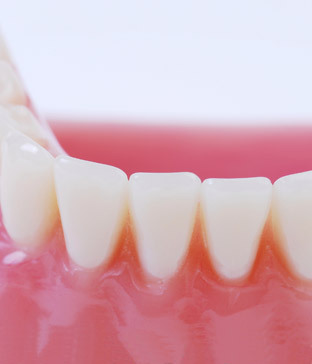 Crown lengthening is a treatment for "gummy" smiles which involves the removal of gum tissue at the base of the tooth to expose the crown and make the tooth appear longer. Because your mouth always contains bacteria, gum disease is a constant risk. The best prevention is proper oral hygiene. Brush regularly after every meal, floss daily, and avoid high sugar foods. Regular professional cleanings and examinations are a must, as tartar cannot be removed by brushing and flossing.Gum disease is serious. Left untreated it can cause major health problems such as bone infections. For more information on gum disease, or if you suspect you may suffer from gum disease, contact our office today for an appointment.